Heavy metal pollution in agricultural soils has become a widespread serious problem with the rapid industrialization and urbanization in the past two decades. Cadmium (Cd2+) is of the most concern in soils due to its high toxicity. It is necessary to develop remediation strategies to remove or neutralize its toxic effects in Cd-contaminated soil. Microbial bioremediation is a promising technology to treat heavy metal-contaminated soils. 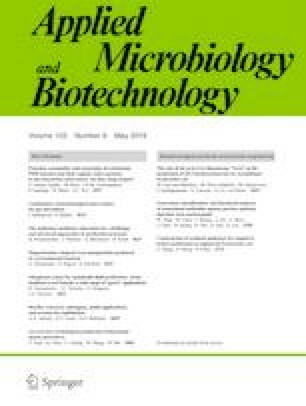 In this study, Cd-resistant bacterium, isolated from heavy metal-polluted soil in Southern China, was characterized as Raoultella sp. strain X13 on the basis of its biochemical profile and 16S rRNA. We investigated the characterization of Cd2+ distribution in different cellular compartments after Cd2+ uptake. Cd2+ uptake by strain X13 was mainly by ion exchange and chelation binding tightly to the cell wall. In addition, X13 plant growth-promoting characteristics suggested that X13 could solubilize phosphate and produce indole acetic acid. Pot experiments for the remediation of Cd-contaminated soil in situ by X13 inoculation demonstrated that X13 application to Cd-contaminated soils significantly promoted pak choi growth and improved production. We also found that X13 substantially reduced the Cd2+ bioavailability for pak choi. Therefore, strain X13 is an effective treatment for potential application in Cd2+ remediation as well as for sustainable agronomic production programs in Cd-contaminated soils. The online version of this article ( https://doi.org/10.1007/s00253-019-09700-7) contains supplementary material, which is available to authorized users. This study was funded by The National Key Research and Development Program of China (2017YFA0605001 and 2016YFD0800206), and the Technical Innovation Major Projects of Hubei Province (2018ABA092).